Highlights include: Staff changes, school donations, pancake morning, Life Ed, Four Year Old Fridays, Nits!! !, and much much more. • Obeying all parking and traffic rules. • Ensuring your child crosses roads only on pedestrian crossings. 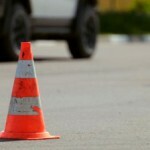 Highlights include: Let’s Go Pancake Breakfast, school lunches, traffic congestion, 4 year old Fridays, sports news, donations and much much more! Here is a sample of what children in room 3 were up to last term. 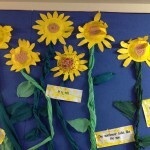 These beautiful and bright sunflowers light up the hallway, as well as teaching us some cool facts. Well done room 3.